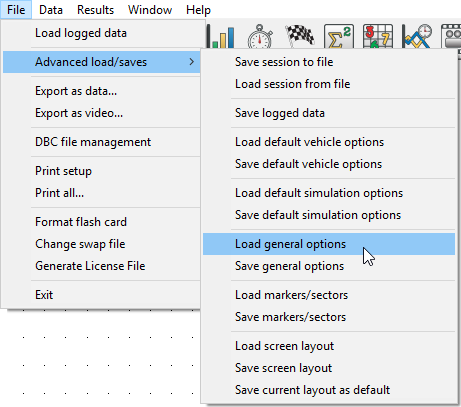 To load a previously saved General Options file (.CFG), go to File > Advanced load/saves > Load general options. 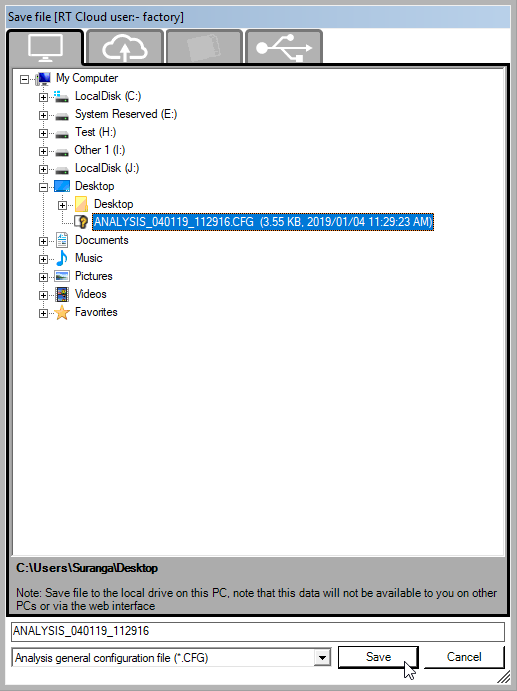 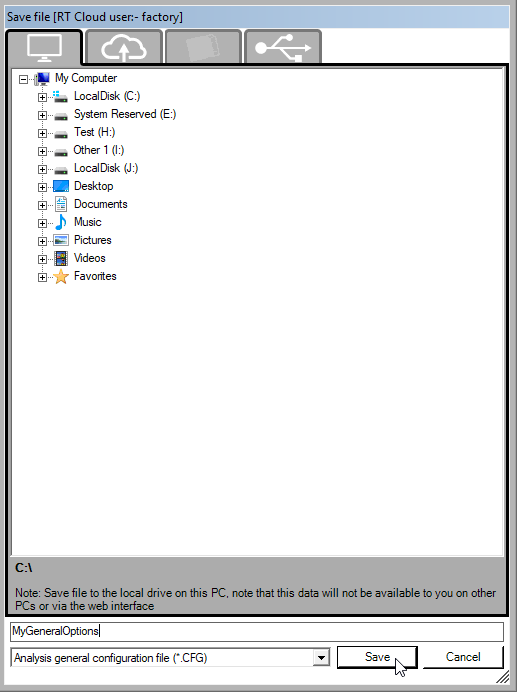 Select the file you want to load by left clicking on the file and click on "Open" to load the general options settings from that file to the analysis program. 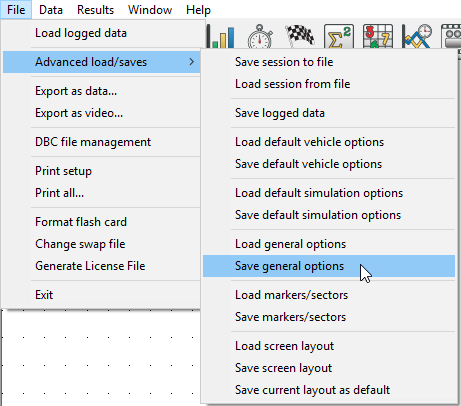 To save current general options settings to a .CFG file, go to File > Advanced load/saves > Save general options. 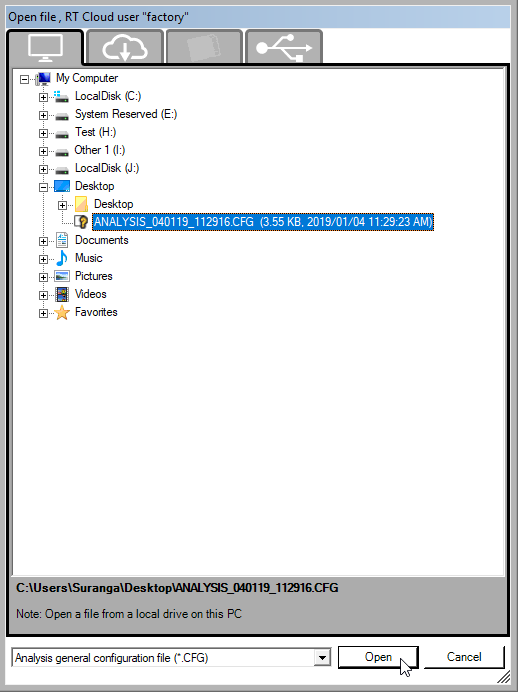 or you can overwrite an existing file by browsing to that file, left clicking on it, clicking on "Save" and clicking "Yes" in the overwrite confirmation pop-up dialog.